Starmobile recently announced that they updated their Starmobile Play operating system into Android Kitkat. The Play has the same specs than the old one. 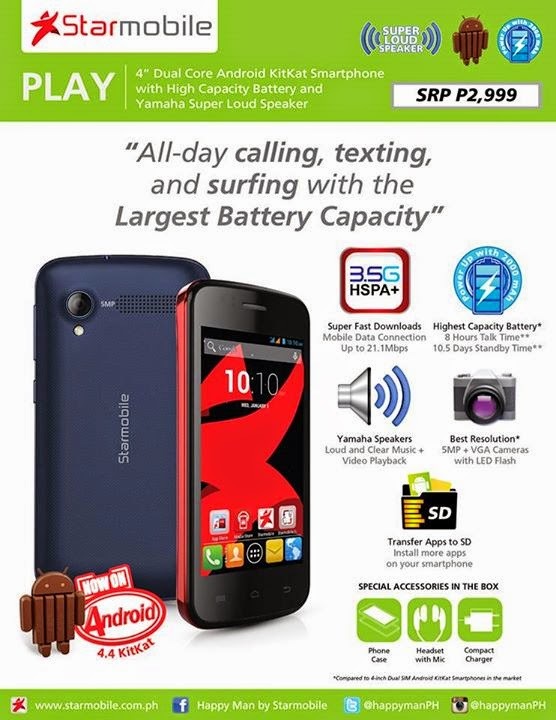 The only change is the OS, it has the same 2,000mAh battery, Yamaha Speakers and 3G connectivity for only Php2,999. If you already owned this mobile before the update, you can be update the Play at any Starmobile service centers. You can also check your device's "Wireless Update" option from time to time to see if the OTA roll out has reached you.